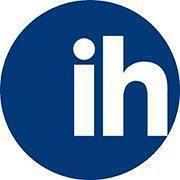 International House has two well established language schools located in Hungary; in Budapest and in Eger. The architecturally baroque city of Eger is situated approximately 130 kilometres north-east of Budapest, nestled at the foot of the Bükk Mountains. Highly popular with tourists, Eger is known for its famous castle, local wines and thermal medicinal hotsprings. Clean air and a small town atmosphere make it an ideal place to continue your studies. We offer a range of general Hungarian courses for adults, all designed to meet the specific needs of our students. If you wish to apply as a group we can set up classes that meet your learning needs at a time that is convenient. Courses are available in our Budapest school, at the student's company, or at our school in the beautiful town of Eger, in northeast Hungary.